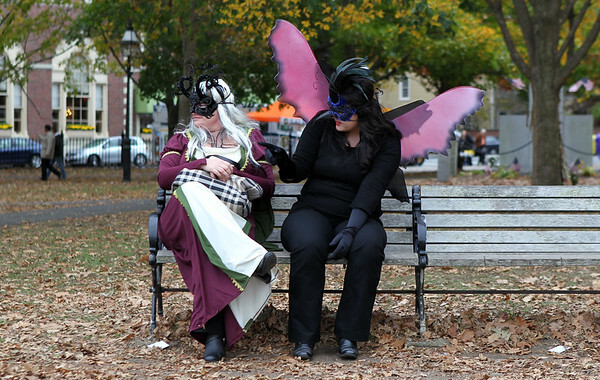 Krista Todd, left, and Diana Stepanovic, of Ontario, Canada, sit on a bench on the Salem Common on Friday afternoon and observe some of the Halloween festivities going on around them. DAVID LE/Staff photo. 10/31/14.